The success of marketing in a company is usually measured by the generated leads. Whether the key figure refers to Marketing Qualified (MQL) or Sales Qualified Leads (SQL) depends heavily on the positioning and strategic orientation of marketing in the company. If the goal is to generate pre-qualified leads, a marketing process for lead qualification (nurturing) must be clearly defined. Previously, the process was based on manually sending email follow-ups to analyze contacts in detail. However, the supreme discipline in marketing is to hand over a lead to the sales department, which is qualified by automated marketing processes. Although the premise “Content is King” still applies, the question “What happens to the lead once it is generated? The entire team must be aware of the direction of the lead. The prospective customer is not passed on directly to the sales department, but is qualified with intelligent marketing follow-up along all stages of the Customer Journey. 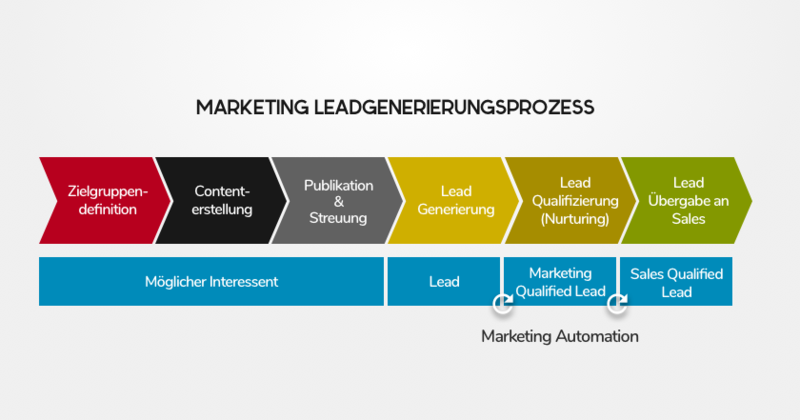 The marketing department has the task to cover the process from content creation to sales qualified lead and to make it efficient with automated processes. In order to measure up with the expectations, marketing must guide potential customers along the Customer Journey with smart actions. Create a plan that covers the path of the prospective customer from “Awareness” to “Sales Qualified Lead”. Make sure you know in which stage your lead is, at all times. Through a simple kick-off meeting with marketing and sales, you can now define your actions to transform a MQL into an SQL. Please take note of the remarks from the sales department, as they will also get in touch with the customer afterwards. Make sure that the definition of a sales qualified lead is always consistent. For example, an inbound lead that has registered for a live demo does not require any further marketing initiatives. However, if only one use case has been downloaded, a product brochure or a link to the product page can qualify the contact. Once the measures have been defined, you should define a workflow for yourself in order to handle the qualification process in a structured way. You first define at which point a MQL is converted to a SQL. You should be aware that a qualification process must consist of several steps. On the one hand, you don’t know the exact needs of the contacts in this lead stage, so it’s difficult to address them individually.On the other hand, it should be prevented that a potentially interested lead, due to a lack of interaction, is discarded. Therefore, define different workflow steps in which you use different intro messages. Especially in an uncertain market where there are many start-ups, it is important to test, test and test. Parallel to the previous step, you must also prepare your communication operationally. In the first step, choose a tool that you want to use for the nurturing of your leads. Marketing should deal with the aspect of automated process control. This is the only way to scale the number of qualified leads. The market offers solutions that deal specifically with this challenge. The digital business kit offers all components of the modern marketing follow-up to the nurturing of leads. 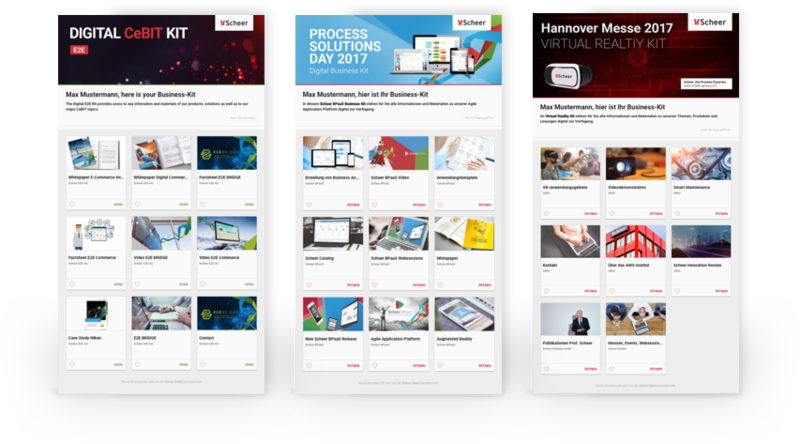 Learn more about the digital business kit – the alternative to classic e-mail follow-up. Prepare a business kit for each workflow step in which you place the remaining information for your SQLs. With the penetration of marketing leads with relevant content, the prospective customer is guided along the Customer Journey. The absolute basis for this is the interaction of the leads within the business kit or the automated e-mail follow-up. Use short and clear subject headings that reflect the content of the email or business kit. Work with phrases that invite to click like “download”,”reserve” or “buy”. Write your follow up emails with a personal approach. Studies show that e-mails are not interpreted as spam if the content is relevant to them. Use interactive content to increase the opening and interaction rate when sending follow-ups. As an alternative to classic newsletter tools, the previously mentioned digital business kits can be sent. This is how you can easily qualify your marketing leads. Set clear call-to-actions that prepare the reader for the following content on the next page. Tracking the interactions is essential. The lead status can only be defined with a complete The interpretation of the user interaction is not negligible. If the marketing department can actually follow the progress of a customer’s process and shows interest in it, a handover to the sales department can proceed. Lead qualification is not a one-way street and requires different approaches that have to be constantly reconsidered. In summary, one of the biggest challenges in marketing – the qualification of marketing leads – can be solved by intelligent nurturing. If you know your persona and have understood your needs, you can use automated follow up e-mails to guide potential customers along the Customer Journey.